Millenials are finally buying homes - According to the latest data from the Census Bureau, the national homeownership rate rose in the fourth quarter to 64.8%, which is a four-year high. As sales volume plunges, LA home prices are inching up at the slowest rate in years - Year-over-year home sale prices are up 2% in LA County. Rates for home loans were little changed near long-time lows, providing a little breathing room for would-be buyers even as policy makers are increasingly taking an interest in housing matters. The 30-year fixed-rate mortgage averaged 4.35% in the February 28 week, mortgage guarantor Freddie Mac said Thursday. That was unchanged from the prior week and the lowest in a year. The 15-year adjustable-rate mortgage averaged 3.77%, down one basis point. The 5-year Treasury-indexed hybrid adjustable-rate mortgage averaged 3.84%, also unchanged. Home shoppers in California will likely face less competition in their offers. January showed multiple offer bidding wars saw a significant drop from a year ago, according to a report from Redfin. Only 13 percent of offers written by agents on behalf of their customers faced war—down significantly from 53 percent a year ago. As we noted last week, due to tight inventory and interest rates dropping again, we are still seeing a fair amount of multiple offer activity on the Westside for properties listed around the true market value. However, the amount of offers is more like two to three compared to the five or seven we were seeing last spring. 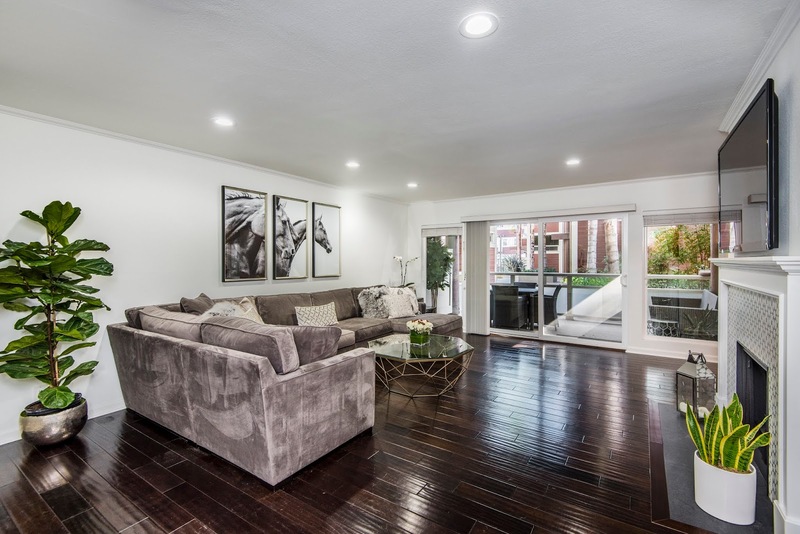 Spacious 3 bed+2.5 bath condo in one of the premier buildings in Brentwood. The open floor plan encompassing 1,780 sq. ft, features a wonderful kitchen that opens to a large entertainer’s living room with a fireplace and private balcony. The master suite has a large walk-in closet and en-suite bathroom with dual sinks. Other features include A/C, in-unit laundry, bonus storage, secured access to the building and guest parking. Steps to Brentwood restaurants, shops and easy access to all the Westside has to offer. Situated a few short blocks from the beach and the world-class dining and shops of the Marina, no expense was spared for this recently designer renovated 2 bed+ 2 Bath unit that features hardwood floors, upgraded LED recessed lighting and custom finishes throughout. The living room with a custom finished fireplace and wet bar flows into a large private patio creating fantastic indoor/outdoor flow. The Kitchen with stainless steel appliances, apron sink and water filtration system has enough space for a home office and is adjacent to the dining room. Master suite includes ‘his’ and ‘hers’ closets, en suite with dual vanity, soaking tub and separate rain shower. Side by side parking, storage unit, controlled access building with security, 2 pools, and plenty of guest parking. Recently, I have been asked a few questions regarding the market and thought it would be a good idea to gather them up and address them. Q: How healthy is the housing market? What do you expect the mortgage rates to do in the next year and how will that affect sellers/buyers? A: The Westside/South Bay markets definitely softened and depreciated some in the 4th quarter, especially when 30 year mortgage rates were around 5% (20% increase year over year) and the stock market was in a correction mode. 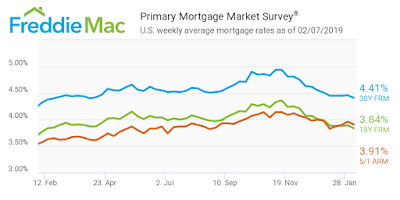 However, things have picked up quite a bit over the past few weeks with mortgage rates retreating to ten-month lows and wiping out much of the interest rate increase that stalled out the market. Some properties that did not sell in the 4th quarter and were then taken off the market during the holidays and re-introduced after the New Year at the same price point immediately sold with some receiving multiple offers. Overall, we have shifted from the strong seller’s market over the past six years to a more normalized market with a slight lean toward the seller in price points below $5M. This will continue to be the case as long as 30-year mortgage rates stay south of 4.8%. Despite the drop in rates, the ultra-luxury market is typically favoring the buyer with current tax laws (no longer able to write off property taxes) not helping the seller’s cause. Q: How do the proposed affordable housing guidelines proposed by the new governor look to impact investment in real estate? A: Housing supply is limited in Southern California. The new affordable housing regulations may take some builders out of new housing development because of the lack of profitability but new homes/condo will still be in demand. New housing starts still significantly lag behind what was being built before the great recession. The supply will not match the overall needs for the job growth on the Westside of Los Angeles. The change in density zoning around the LA Metro route will provide for more housing units, but on the whole, the demand for existing homes will remain high. The one area to keep an eye on in terms of “over-building” is Downtown Los Angeles where developers do not have to battle restrictive building height requirements and this has led to quite a few luxury high-rise projects that will be hitting the market over the next few years. Q: Where would you spend your dollars when getting ready to sell your house? A: It is amazing what a fresh coat of paint will do. Consulting with a designer/stager to make the house appeal to a broader audience is also money well spent. 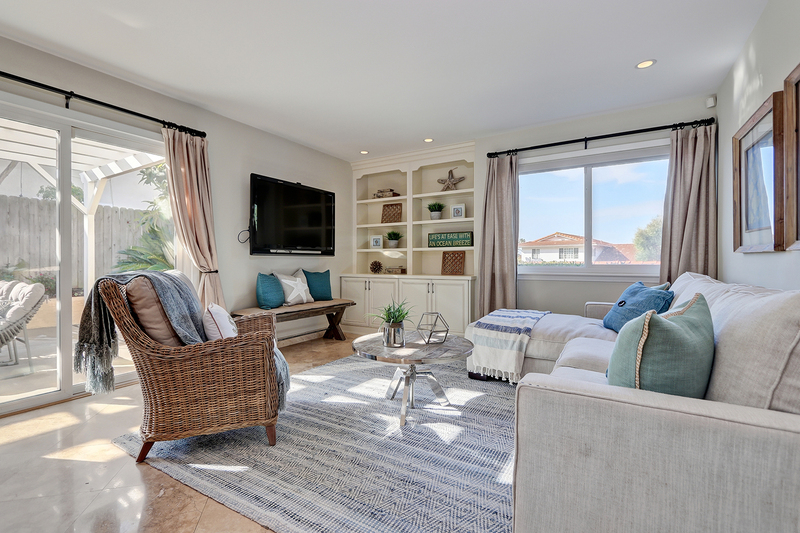 Depending on the situation, you may only need to paint, accessorize and de-clutter but a full staging is optimal. With a bigger budget, updating flooring, the kitchen and master bath-room provide the most bang for the buck. Q: How important are open houses to sales? Is it more important to have a well-connected and experienced realtor/agent or great open house, which will get my property sold at the best price in a timely fashion? A: Since over 85% of sales involve a cooperating broker, it is really important to work with an agent that has a great reputation and known within the real estate industry for being positive to work with. The good agents like to avoid those with less than stellar reputations. A great agent will assist in every aspect of creating maximum visibility. Open houses are important to have, especially early on in the process when the property has maximum visibility. 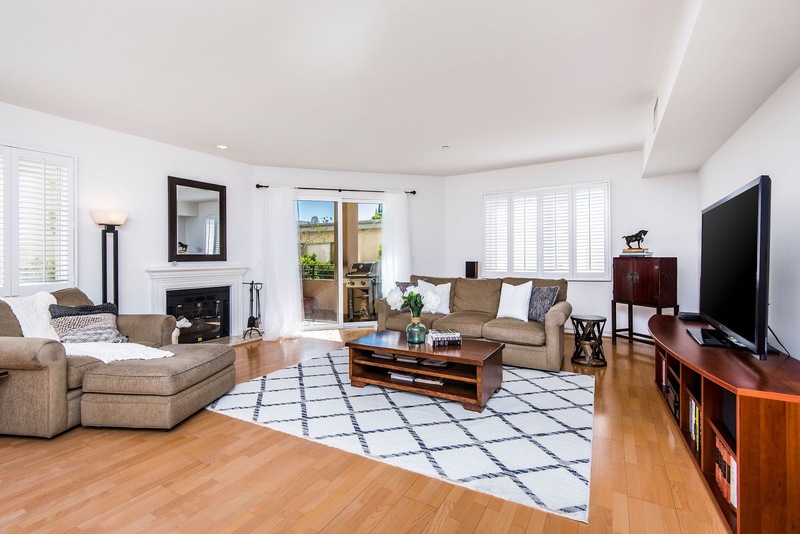 The most serious buyers will ask for a private showing if an open house is not available, but most home shoppers usually plan on seeing inventory on Sunday afternoons and over 40% of buyers’ state they first saw the property they purchased at an open house. 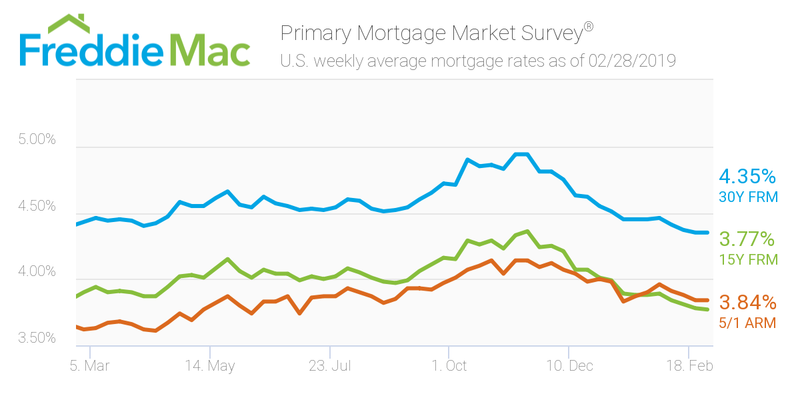 Mortgage rates have now fallen to their lowest level within the last 10 months, according to the latest Freddie Mac Primary Mortgage Market Survey. 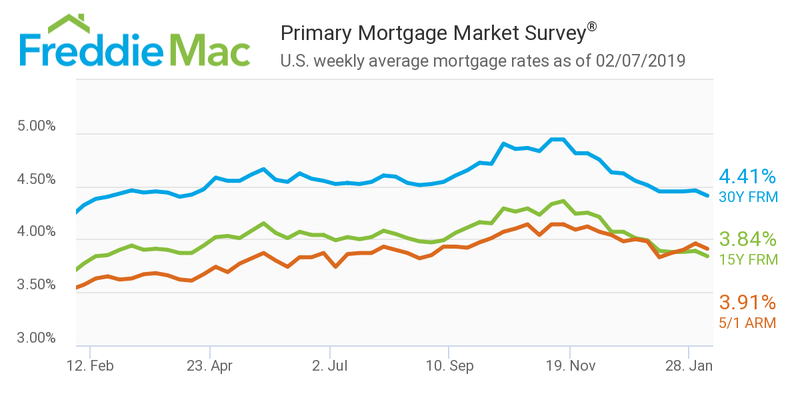 The 30-year fixed-rate mortgage averaged 4.41% for the week ending Feb. 7, 2019, moderately retreating from last week’s percentage. This is higher than last year’s rate of 4.32% at this time but not nearly as big of a gap as we were seeing two months ago when it was as much as 20%. Prospective home-owners have applied for loans in droves as mortgage rates have declined over the past few months. Mortgage purchase applications hit the highest level since April 2010 according to the Mortgage Bankers Association. The 15-year FRM averaged 3.84% this week, sliding from last week’s 3.89%. Notably, this time last year, the 15-year FRM was 3.77%. 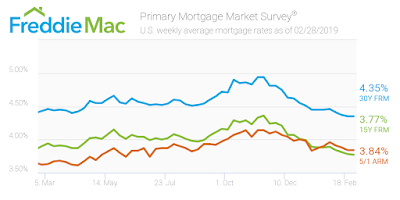 The 5-year Treasury-indexed hybrid adjustable-rate mortgage averaged 3.91%, falling from 3.96% the week before. The rate remains higher than this time in 2018 when it averaged 3.57%. LA rents aren’t budging in 2019 - The analysis finds that the city’s median rent price for a one-bedroom apartment was $1,360 during January. A typical two-bedroom cost $1,750. Both prices were unchanged from a month earlier. Over the last year, prices rose marginally—by about 1.4 percent. That rate of growth actually exceeds averages for the state (0.3 percent) and the nation (1 percent), but falls well under the 3 percent annual price bump allowed under Los Angeles’s Rent Stabilization Ordinance. As sales plunge, LA home prices are inching up at the slowest rate in years -Year-over-year, prices are up just 2 percent in LA County, and a measly 1.1 per-cent across all of Southern California. Chinese buyers continue to expand their presence in the US Housing market- According to CNBC, Chinese buyers continue to be the top foreign buyers of residential housing for the past six years according to National Association of Realtors. They have become more active in housing markets in Texas, Georgia and Florida, although California is still a favorite. A lifelong angeleano born and raised in Santa Monica and a graduate of Crossroads School and the University of Southern California. I have a lifetime of local knowledge and the resources necessary to help provide timely and important information that impacts the world of Westside real estate. The addition of Alexis Antin to our team will provide another resource with a wealth of local knowledge and business experience. With over fifteen successful years of experience and $175 million+ in closed transactions, the goal of this blog is to be the main source of key real estate information for friends, clients and potential clients. I currently reside in Mar Vista with my wife Jill and our two sons Dax and Tyson.